When did you participate in the Sauvé Program? I was part of the pioneering cohort of the 2015-17 Public Leadership Program. Prior to joining the program, I worked for six straight years on the issue of disability and inclusive education in the Philippines and then pursued my Master’s degree for one and a half years in Europe. Everything was absolutely enriching, but I also felt exhausted. So I appreciated how the Sauvé experience provided a space for meto rejuvenate as well as to reflect on how I could continue pursuing my passion for disability and inclusive education with renewed energy and more gusto. I grew up in a context where ‘dreaming big’ and ‘being on the top’ are key ingredients to success. Having lived a life of poverty, I was deliberate about changing my and my family’s life. I was an achiever – an honor student from kindergarten to university and an award-winning student leader. I believed that in order to thrive, I needed to be ‘strong’ all the time and that showing my ‘vulnerability’ was not an option. But my Sauvé experience challenged this paradigm. Through my interactions with my co-fellows, I slowly learned the importance of valuing vulnerability. I learned how to be more deliberate in recognizing my weaknesses while showing it to people around me. When I moved on to my new job after the Sauvé Program, the skill of valuing my vulnerability came in handy. As to how, here is a piece I wrote: http://jeannesauve.org/letters-from-the-field-phase-valuing-vulnerability/. Tell us a bit about your journey after your Sauvé experience until today. What have you been up to? What do you do now? While being at the Sauvé Program, I was hired by UNICEF Kenya to work for them through the funding of the Joseph P. Kennedy Jr. Foundation. The Sauvé Program then became instrumental in preparing me for that work. For instance, I was deliberate at contextualizing our team building sessions to UNICEF processes. I would ask, ‘How does collaboration work in a huge system like UNICEF’? 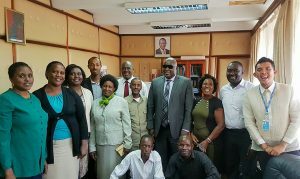 Many months later, I am still with UNICEF Kenya as the Expert on Mission on Inclusive Education. My work focuses on providing technical expertise to UNICEF Kenya staff as well as the Ministry of Education to review, develop, and implement education policies and programmes inclusive to the needs of children with disabilities. While having a full-time job with UNICEF Kenya, I continue doing volunteer work. I remain with the Global Observatory for Inclusion (GLOBI) to promote inclusion through digital activism. I facilitate the ‘Weekend Chat on Inclusive Education’ to provide a platform for inclusive education practitioners to share their experiences in working with children with disabilities in regular schools. 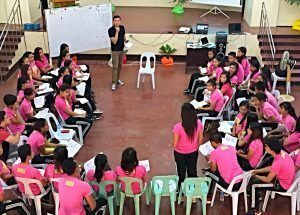 I run the Inclusion Caravan project when I am in the Philippines for holidays to increase the capacities of regular school teachers in accommodating children with disabilities in their classrooms. 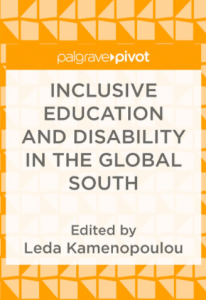 In addition, I am also pleased that my Master’s thesis has been published as a chapter in a book entitled ‘Inclusive Education and Disability in the Global South’ by Palgrave MacMillan UK. The chapter highlights the creativity and innovation of regular primary school teachers in one province in the Philippines in differentiating their assessment strategies for children with disabilities amidst scarcity of resources. The book in general asserts the need to establish more empirical studies on inclusive education in the Global South, hearing the voices of practitioners oftentimes unheard and ignored. I have been my family’s breadwinner since I started working. And I would like to continue being one. My family experienced how to live a life of extreme poverty. My hope then is to provide my family a decent life where we do not have to worry about what and how to eat the following day, where my parents have running water at home. In addition, I am passionate about continuing my work on inclusive education for children with disabilities specifically in the UN system as well as at the community level. This is based on my hope that by providing children with disabilities an inclusive education, we are creating a society that embraces diversity. Hence, a Society for All.